autism, or a mental health condition. Olive Care is a comprehensive home care and supported living agency dedicated to serving those who desire independence where ever they are located nationwide. We believe in family and strong communities. We respect and honor our elders and people with disabilities. We support you and your loved ones with encouragement and integrity, and our values shape the care we provide. Our mission is to empower people to experience the fullest life possible by providing person-centred supports which enable them to integrate into a variety of settings within their community. At Olive Care, our greatest asset is our dedicated team of professionals. Olive Care employees undergo a rigorous series of interviews and DBS checking before hiring, and once onboard our team members are extensively trained in the responsibilities and duties required. Our team members are happy and motivated to provide excellent quality care for the elderly, physically and mentally impaired and for those with dementia. At Olive Care our mission is to provide your loved one with the highest quality of life that is achievable. We treat each of our clients with the respect and dignity they deserve, as though we were caring for a member of our own family. Olive Care is an agency providing care in the community nationwide. 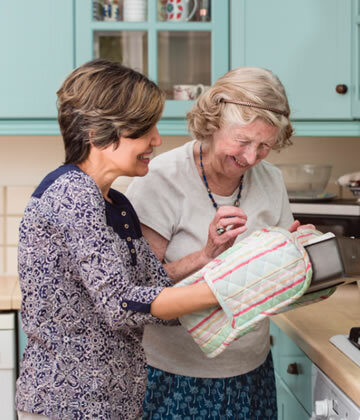 Our dedicated team supports elders and family members with learning or physical disabilities who want to remain in the home they love but need trusted assistance to do so.